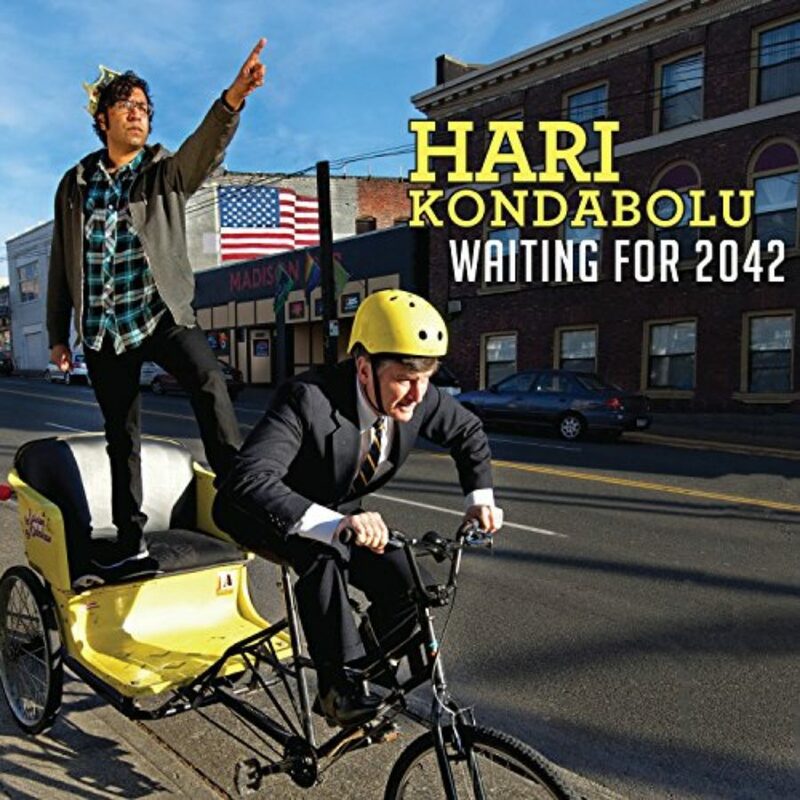 Hari Kondabolu is a stand-up comedian and writer. 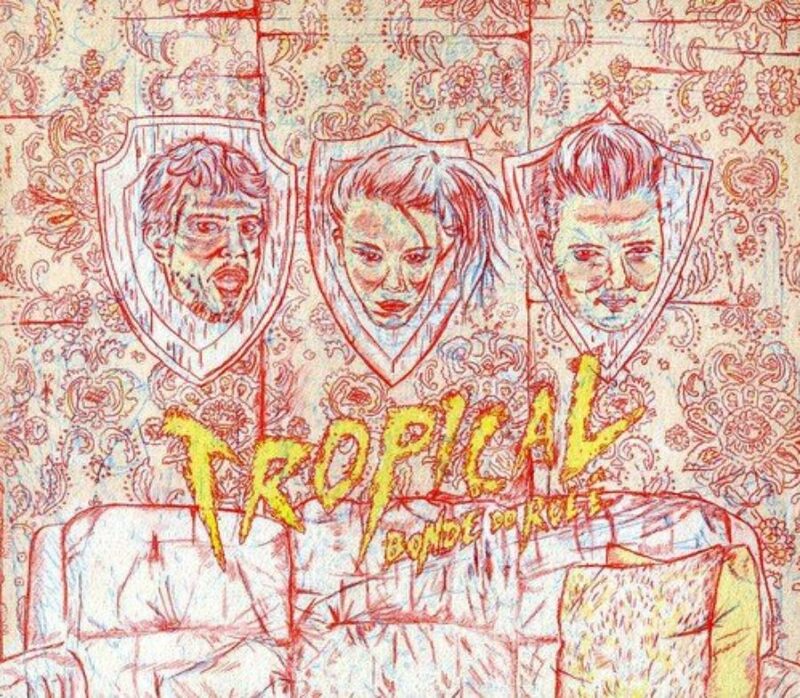 His albums include Waiting for 2042, Mainstream American Comic, and most recently Hari Kondabolu’s New Material Night. HARI KONDABOLU: Comedy is therapeutic, but it’s not therapy. I think the things we love that we do, that we think keep us going and sane, they’re therapeutic, but often they’re not the solution. It’s the parts that strengthen you after the show, after you do the things you love, that is the real therapy. That’s the important stuff. LILY PERCY: I’m Lily Percy, and this is Creating Our Own Lives, COOL for short, the podcast where I ask people to think through how they shape their lives. And hopefully, by listening, we learn how to create our own. This season on COOL, we’re talking about humor as a tool for survival. And this episode I talk with one of my favorite comedians, Hari Kondabolu. Hari has a Masters in Human Rights from the London School of Economics and worked as an immigrant rights organizer in Seattle, all while developing his voice and career as a stand-up comedian. You hear all of this in Hari’s writing. His jokes tackle politics, race, gender, religion, and yet they never sound preachy. I learn something new about myself and the world every time that I listen to him. MS. PERCY: The way that I’ve been thinking about this, especially when it comes through your comedy, is how somehow you being so specific to the way you grew up and your own kind of humor makes it so universal. There’s something really wonderful about that. 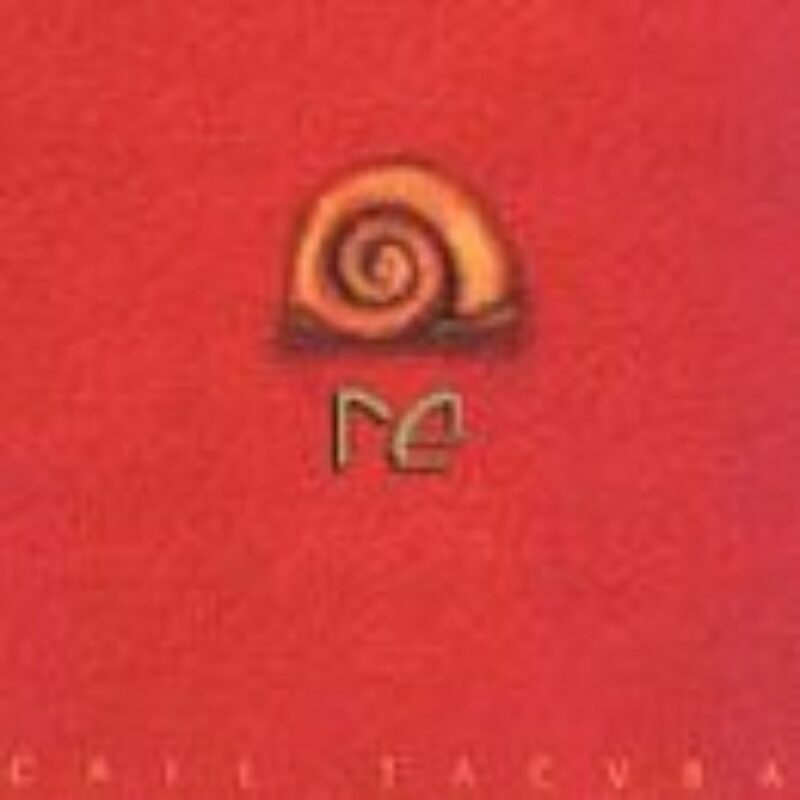 And I just wonder, if I were to ask you about humor as a tool for survival, what would you start to say about that? MR. KONDABOLU: Oh, I mean I learned that tool from my mom. My mom was a doctor in southern India in the ’70s in her small town before that was a thing that could happen. She was a special person because she was a woman in that town who was educated and was in med school very young and was able to serve her community and do something she loved. And she lost all of that when she got married and moved to America. And I think about that, and that’s really painful, not only to leave everything you know and everything you love, but also to leave what you’ve dedicated your life to up to that point. And for her, throughout my childhood, she survived by making jokes. And my mom has a very dark sense of humor. I think part of that is because from pain, you have to find some way to survive. I mean I think that’s how I learned how to recycle pain. You take pain, and you figure out how to use it again in some way that’s positive, that makes you feel better and makes others feel good, as well. 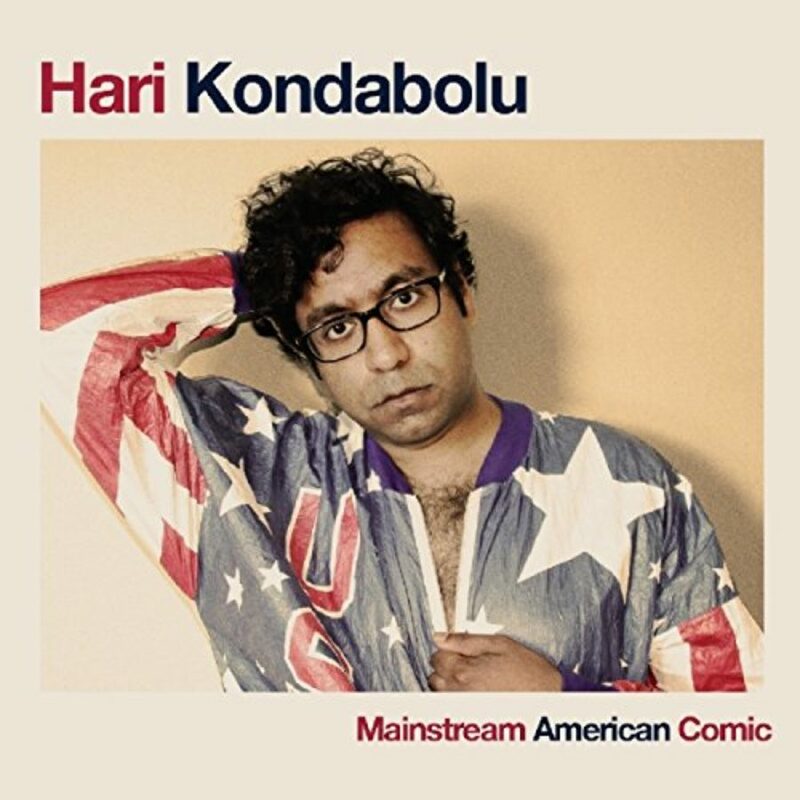 MR. KONDABOLU: Oh yeah. She’s just so quick. And some of it’s just natural ability, and some of it’s being in a family where they spoke English a lot, so that’s why she’s also quick in English, and also the fact that her father was funny, and she was in that household. But also some of it is knowing how to cope. And to me, I mean that’s still, I think, for a lot of us — and I especially feel that it’s a way that I’ve survived a lot of stuff; it’s a way I’ve dealt with lots of painful and frustrating things. I don’t know, it keeps me sane, in a way. I shouldn’t say that. I shouldn’t say that. I’ve been thinking about that. I’ve said that before. Because I’ve started to think about the fact that comedy is therapeutic, but it’s not therapy. I’ve been thinking a lot about that. I think the things we love that we do, that we think keep us going and sane, they’re therapeutic, but often they’re not the solution. They’re things that make life better. Therapy is a longer process. It’s a continued process. MR. KONDABOLU: It never ends, and whether it’s physical or mental, it’s something you actively have to do. Me performing is therapeutic. And if I get a rush from people, I’m taking things, and I’m writing them down and spinning them into something else to create laughter, and that’s great. But at the end of it I’ve had many a show where I’m in a town I don’t know, and I had a great show, and the show’s over, and I’m back in my hotel room, and the adrenaline’s gone. And I’m just like, I don’t know where I am. I don’t know anybody here. I have to wake up early to take another flight to another city where I don’t know anybody. I mean that’s not therapy. But the act of performing is therapeutic. And it’s the parts that strengthen you after the show, after you do the things you love, that is the real therapy. That’s the important stuff. MS. PERCY: What I find amazing about your mother’s sense of humor, which reminds me so much of my mother’s sense of humor –– and so many immigrants that I know relate to your humor, because it’s essentially that idea of you have to laugh, you have to make a joke out of it; otherwise, you’re just going to cry. It’s just going to be too overwhelming. And I think about your humor, and I feel like so often I can hear you really wrestling and struggling with a lot of the topics that you’re talking about, whether it’s race, feminism, human rights. And I just wonder, what does humor give you in wrestling with these topics that you don’t find anywhere else? MR. KONDABOLU: I mean it’s a positive end to something that necessarily doesn’t have a positive end. Do you know what I mean? Like you can analyze something and get down to what the core issue of a thing is, and it’s not like by figuring out what’s wrong systemically, what causes systemic oppression, how come there are so many people in extreme poverty all over the world. You can get answers to that; and then what? Do you feel happy that you found the answers? No. You have more information, but there’s still a degree of helplessness and the fact that this is still awful. It’s just now I know how specifically awful it is. MR. KONDABOLU: With comedy, there’s a laugh at the end of it, which is amazing.I can still talk about all these things, and there is this positive release. Now, it doesn’t solve anything, necessarily. But at least it gives you something, like: ah, that was worth talking about, because I got a little rush at the end of it, because that was rough. That’s important. MS. PERCY: And it also makes us feel like we’re in it together. I don’t know what it is about comedy –– and I’m just thinking about when I watched you perform live ­­–– that feeling that we’re all in this together. MR. KONDABOLU: Yeah. It’s beautiful. And I love the fact that my audiences are so diverse. And I don’t just mean in terms of race, but religion, sexuality, gender, age. I think it’s important, because how often are we in a space like that, where we’re all together in that space? That’s rare. It’s rare that that range of people is sharing a space and sharing laughter together. I think that’s really important. Also, I will say that for people who don’t get their issues addressed consistently, I think me being able to talk about things that upset me, I think that is cathartic for people. And it’s certainly cathartic for me to hear their responses; like, oh, I’m not crazy. These are experiences other people are feeling as well. And also, for people who don’t understand the laughter, because their experiences are different and usually they’re in the majority, but in this particular place they’re in the minority, it’s important to see other people have pure joy over something they don’t get. Because it shows you that your truth isn’t everyone else’s truth. And the truth of the majority is just that. It’s not everyone’s truth. MR. KONDABOLU: I’m thinking about that question. I mean…I don’t know. MS. PERCY: Well, and I mean and also it could very well be that telling jokes and making people laugh is your spiritual practice. MR. KONDABOLU: Absolutely not. No, absolutely not. I will not — that’s an easy one for me to say. It has not brought me closer to any — if anything, it can be very painful, because it’s not saying that every time you go on stage — every time I pray, I feel a sense of connection and calmness. When I perform, I don’t get that. They are extreme emotions. They’re extreme happiness or just the depression of how bad that show went. The idea of my self-worth is based on the reaction of the others. That’s not spiritual. That’s sad. [laughs] There’s a reason why comedians are depicted as sad, you know? It’s not a spiritual practice. It’s built in with ego, in addition to wanting to create something. I mean I’m not going to be overly romantic about that. I know what it is. Let’s not pretend. MS. PERCY: And yet, what you give to people, though –– I mean when I laugh, when I see someone really funny, and I can’t stop laughing, I feel that spiritual high. MS. PERCY: [laughing] So I could laugh. MR. KONDABOLU: Buddha suffered so everyone else can learn from that example. People go through pain to teach us a lesson. MR. KONDABOLU: I mean I don’t — I don’t see that. I think it’s good for the soul to laugh. However, I don’t want to see comics as martyrs, for that reason. I think it’s healthy to laugh, but for the performer, it doesn’t solve everything. And it’s so much bigger than those moments, because again, there’s a high and there’s a low, and that low is pretty devastating. When you’re in a place you don’t know, and you’re not making people laugh, and you’ve built so much self-worth on others. And that’s a big thing, the fact that it’s not about yourself. It’s not about self-discovery. It’s not about you coming to terms with something. It’s other people’s reactions to you. How is that spirituality? MS. PERCY: [laughing] I’m going to leave that there, then. MR. KONDABOLU: It’s a clear answer. I gave you a clear answer. MS. PERCY: [laughing] I love it. Well, so I’m curious about –– so much of your comedy deals with these really difficult, complex issues of race and identity, ethnicity. And I wonder how it’s helped you understand your own identity in the US. 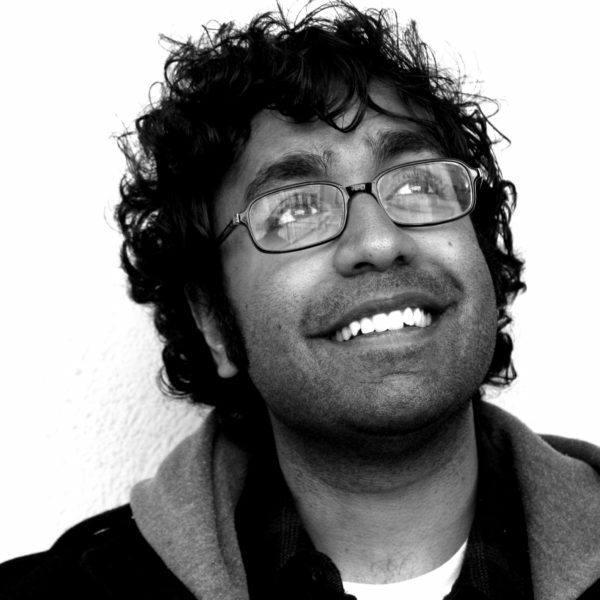 MR. KONDABOLU: Certainly after 9/11 –– I mean I was 19, I think, I was at Bowdoin College. That’s where I went to school, up in Maine. I was born and raised in Queens. It happened in my city. And everything that came out of it was weird. It wasn’t just –– obviously, the act of terrorism and the trauma of that. But the fact that there was all these claims that we were all united, and I knew damn well we weren’t. Because if we were united, why would there be hate crimes where your neighbors were getting killed after 9/11, the post-9/11 backlash. How come the government is targeting people and deporting people; how come these painful things are happening? And as a New Yorker, it’s like, I’m suffering as a New Yorker, and now I’m suffering as a person of color. And that’s a heavy thing. And I started writing more personal things about those experiences, and it absolutely was a way to cope with some of it, because it was so irrational. Just the idea, even getting checked at an airport, the idea that I was a potential threat because of the way I looked. It was so bizarre to shave before every flight. All these kids in college get to play with their facial hair. “I’m growing a beard. I’m growing a…” I can’t do that after 9/11. MS. PERCY: You can’t. [laughing] You’ll be a target. MR. KONDABOLU: Yeah, I’m not going to “No, sir, I’m just screwing around with this mustache. It’s a handlebar mustache.” You can’t play around with that. Those are little things you have to sacrifice. And they’re small, but it’s all based on the idea of “it’s for everyone else’s safety” and that you are a potential threat, and you need to accept that. That’s hard. And so learning to freely talk about difficult things, to make people uncomfortable, because if there’s a laugh at the end of the discomfort, it’s very rewarding. And also, my comedy isn’t necessarily for everybody. What is something that is therapeutic to one person and is fun and a relief might be something that makes somebody else extremely uncomfortable, and they don’t want be around it. And that’s okay. And it took me a long time to realize that’s okay. When people walk out of the shows, that’s because they weren’t ready for this. This isn’t what they expected. Whatever it is, they just don’t find it funny. That’s on them. I can only share my truth, and my truth is this truth. And there are people that do appreciate that. So certainly, my view of comedy, how I wrote very much changed, because I was trying to cope with post-9/11 backlash and all the things that happened. MS. PERCY: So last question for you. What does humor, comedy, however you want to phrase it, give you that you find nowhere else that you’re really grateful for? MR. KONDABOLU: Oh, wow. Comedy gives me, selfishly, a rush I can’t get from anywhere else. The high I feel when I get offstage is unbelievable. It’s being able to connect with so many human beings at the same time in this really beautiful way that’s so incredible. And also, another thing it gives me is the ability to reach people who sometimes need to be reached. And I don’t want to say that in a way that’s arrogant or anything, but I get emails from people, or people come up to me after shows, and they tell me how much something I wrote or something I performed meant to them and why it meant something to them. My fans don’t often just send me letters that are a few sentences. They usually go on for a few paragraphs, because it’s deeply personal. And I don’t know if I could reach people any other way and with the same impact. I mean comedy has provided me that. It’s given me a greater connection to so many different human beings. MR. KONDABOLU: My brother and I grew up laughing. My brother and I coped with stuff laughing. We watched TV laughing. We dealt with being fat brown kids [laughs] and not necessarily being seen as popular; we dealt with that together. My family, we definitely used comedy for that reason. I mean we didn’t see it as comedy or humor; it was just the way we were. There was no name for it. This was just the way we were. 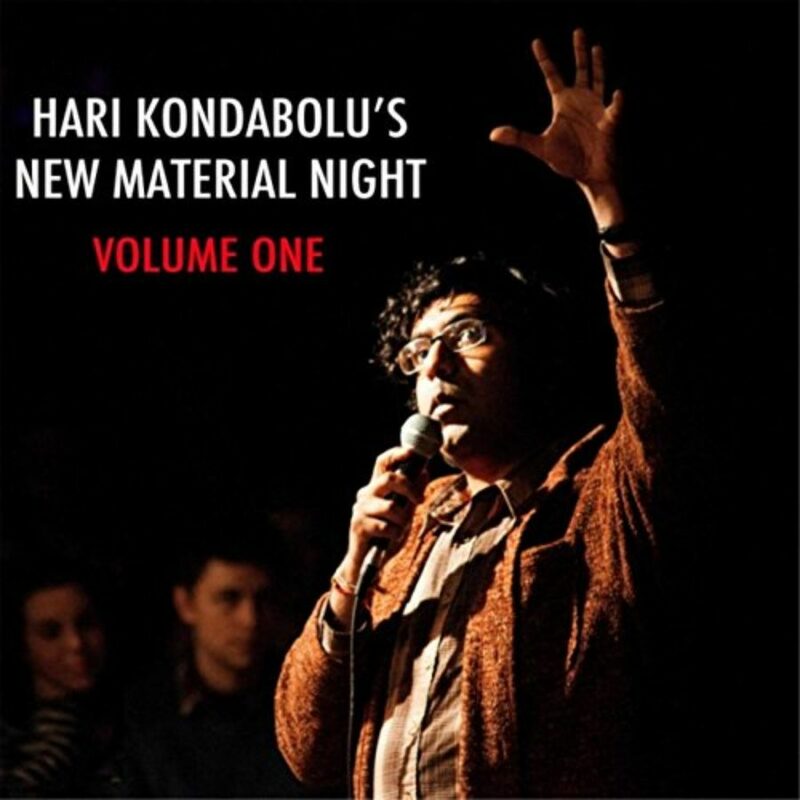 MS. PERCY: Hari Kondabolu is a stand-up comedian and writer. His stand-up albums “Waiting for 2042” and “Mainstream American Comic,” are absolutely hilarious. I didn’t think I could love a comic as much as I love my future husband Louis C.K. until I listened to Hari.